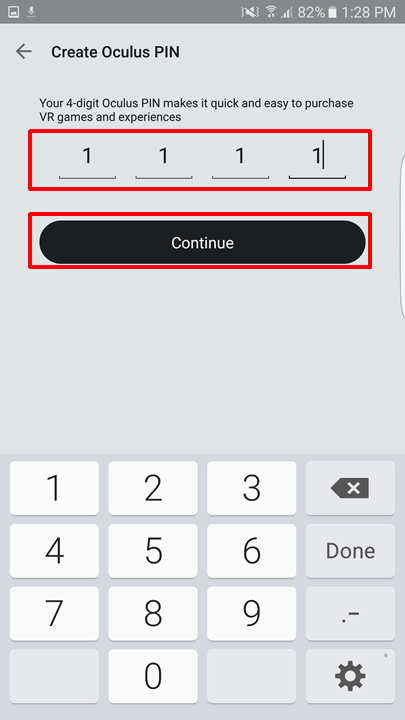 ● Before using the Gear VR, deactivate the screen lock feature on your mobile device. ● Ensure that the device is connected to a Wi-Fi or mobile network. 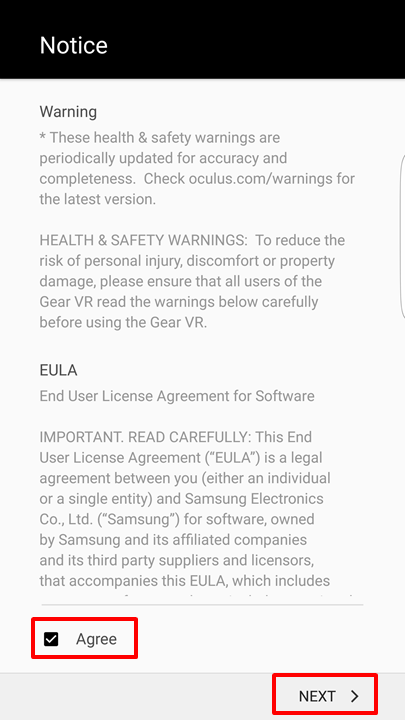 ● Device may require a software update to install the Gear VR software. 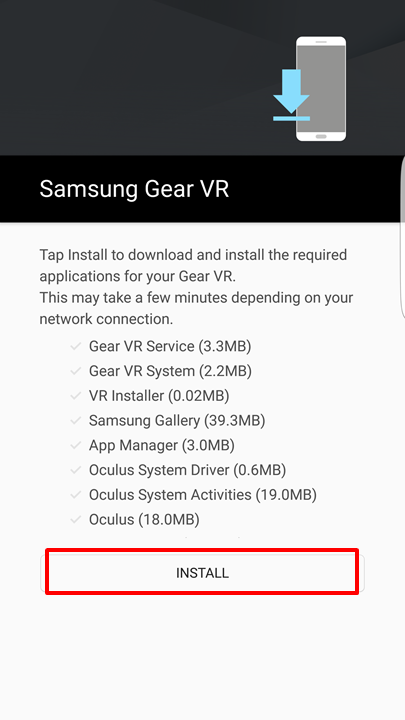 ● The Gear VR app is not available in the Google Play Store, the software can only be installed once it is connected to the Gear VR. ● A proximity sensor inside the Gear VR detects the position of your face. When you wear the Gear VR, the screen unlocks and you can use the touchpad. Please Note: The Gear VR is currently only compatible with the Galaxy S6, S7, S8, S9 series, Galaxy Note5 & Note8. Screenshots were taken from Android OS Version 6.0 (Marshmallow). Steps may look slightly different according to the device you are using and the Android OS Version it is running. 1 Connect your device to the Gear VR. 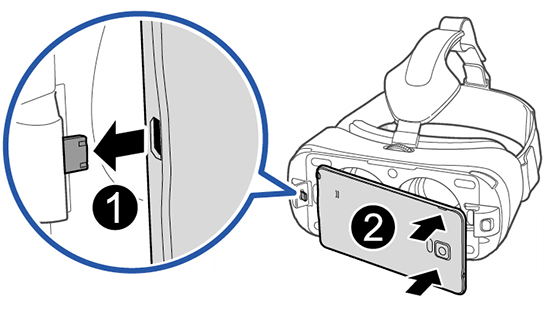 With the screen facing towards the Gear VR, attach the device to the Gear VR using the USB Connector (1). Make sure the back cover of your mobile device is securely fastened before attaching it to your headset. Press the device into position until the device lock in place (2). 2 You will hear a voice prompt to disconnect the device from the Gear VR to proceed with the installation of the Gear VR software. 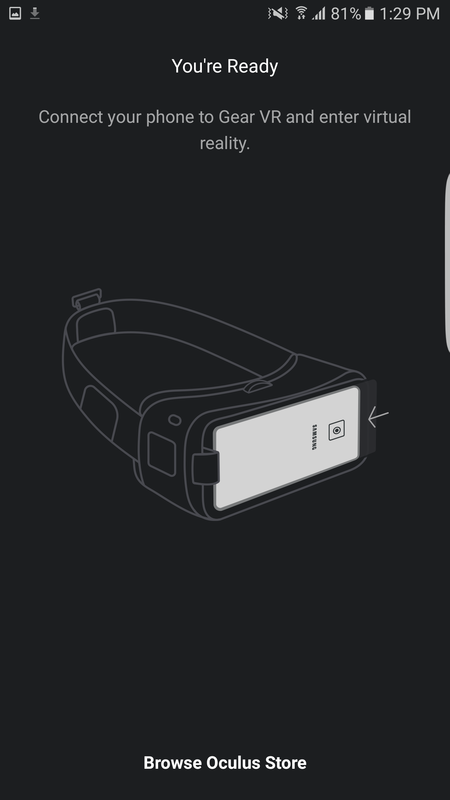 3 Once you have disconnected the device from the Gear VR, a new screen will be displayed on your device. 4 Your device will start downloading the initial setup files. 5 Read the Warning Notice. Check the box to Agree and then tap Next to proceed. 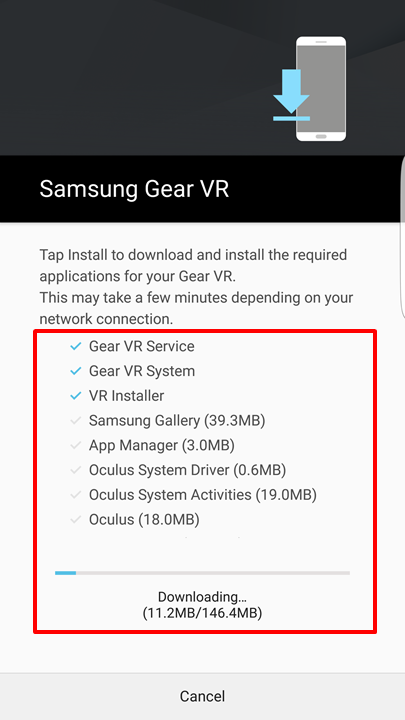 6 You will need to install the required applications for your Gear VR. Tap on Install and wait until all the required content has been downloaded onto your device. 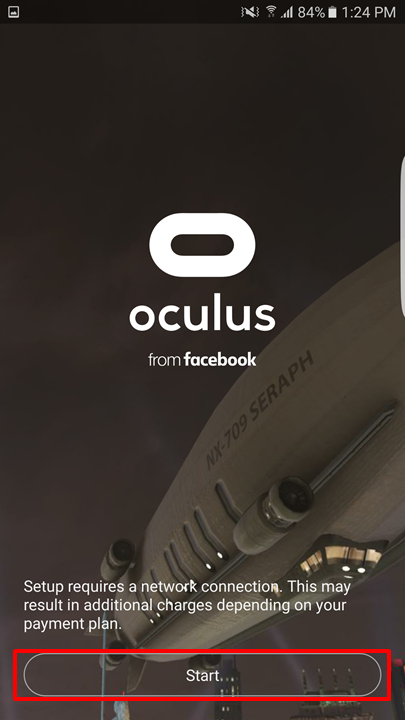 7 The Oculus application will be loaded on your device now. Tap Start to proceed. 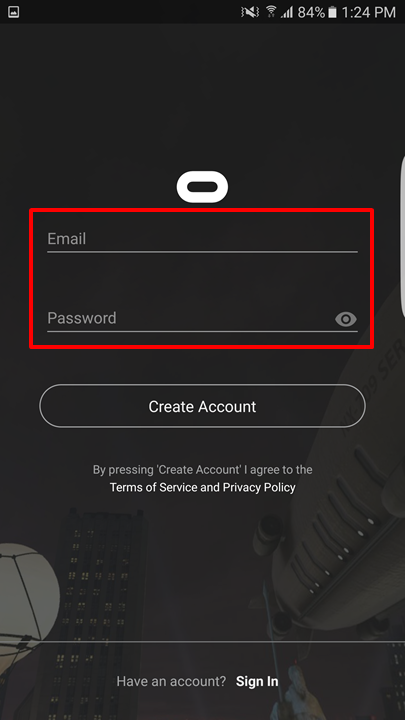 8 You will be required to sign in to your Oculus account. 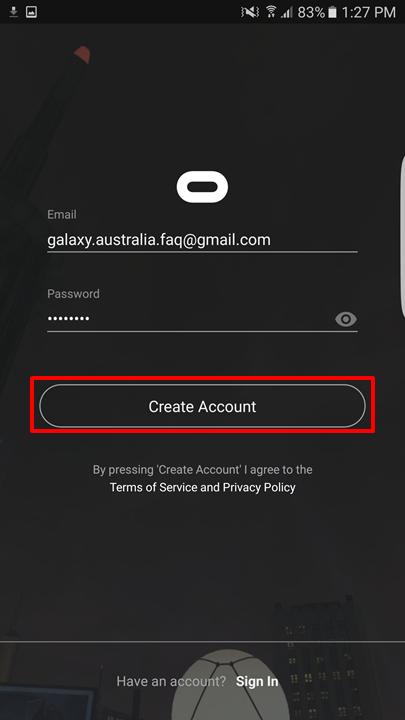 If you do not have an Oculus account, tap on Create Account to proceed. 9 Enter in your desired Oculus username. Please Note: Your username can only contain letters and numbers. 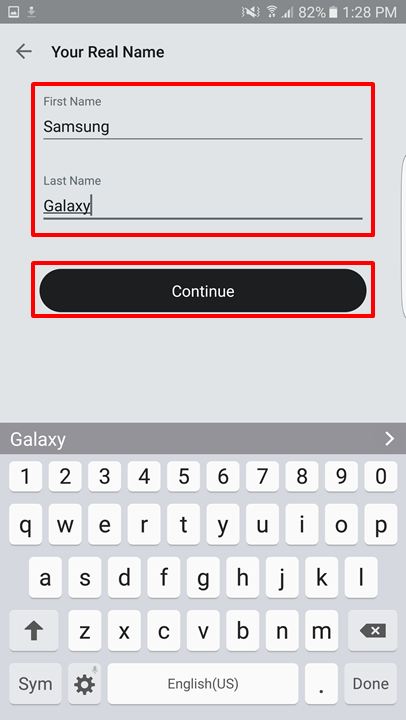 10 Enter your name into the prescribed field and then tap Continue. 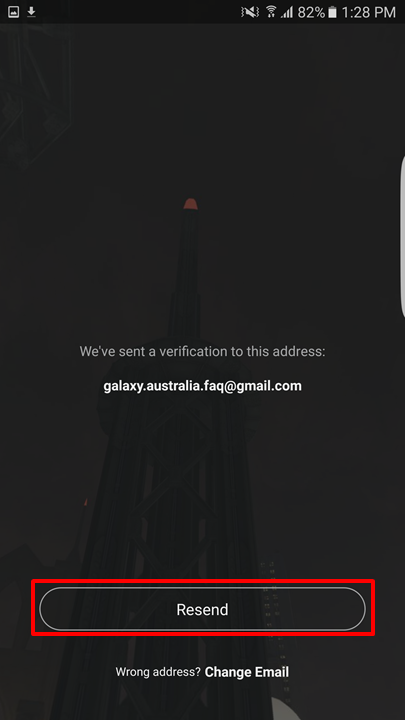 11 You are required to create an Oculus PIN code. Please Note: Your 4-digit Oculus PIN makes it easier to purchase VR content. 12 A verification email will be sent to the registered email address. Please check your inbox in your email account and verify the account by clicking on the link. If you have not received the email, you can tap on Resend as shown below. 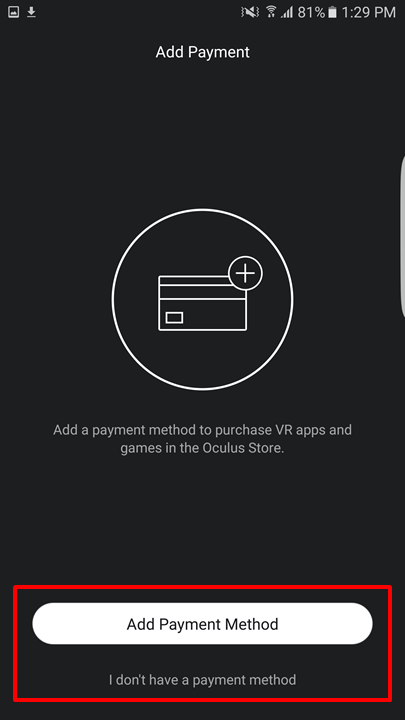 13 You can add a payment method to purchase VR apps and games in the Oculus Store. 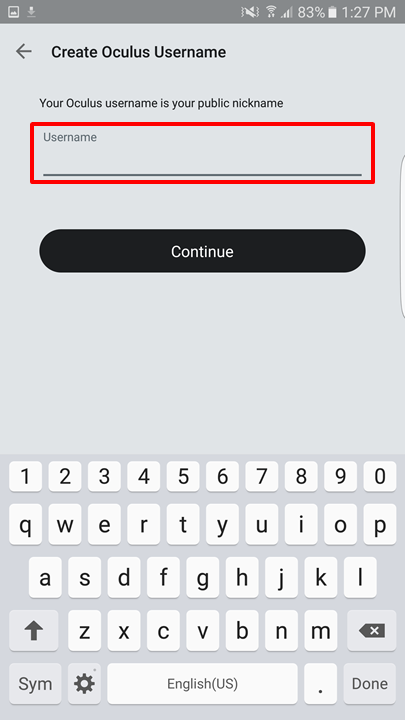 If you do not wish to add a payment method, you can simply tap on "I don't have a payment method" to finalise the setup process. 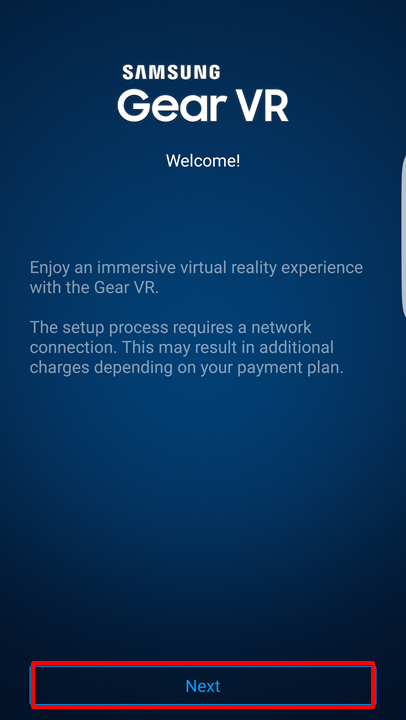 14 You have successfully installed the Gear VR software and ready to use.